If you’re anything like us, you’re a (really, really) big fan of formative assessment. You know that embedding it regularly into your K-12 classroom instruction unlocks in-the-moment insights into what your students know and don’t know, so you can make the best instructional decisions possible. But in order for a formative assessment strategy to drive student outcomes, it has to be thoughtfully designed to give you the data you need to determine the next steps. This week, we share our list of the three can’t-skips, gotta-dos, must-haves for meaningful formative assessment. Formative assessment only works when you measure what you intend to measure. Correct alignment ensures continuity of instruction, instructional materials, and assessment. It also sends clear messages to students about what they know, what they need to know, and how to close that gap. Once you have an assessment ready, review it for proper alignment to ensure that it will, in fact, inform both teaching and learning in your classroom. Below are a few questions to help you get started. Which standard(s) do I want to assess? Does the assessment directly align to these standards? Does it measure the concepts and skills associated with the standards? Is it grade-level and/or developmentally appropriate? Do the questions have the right level of readability? Does it include appropriate vocabulary for my students? Is it free of cultural bias? Will the question provide the insight I need to identify levels of understanding? Now, you may think that we are only covering alignment for formal formative assessments, like multiple-choice or papers. Au contraire. The spectrum of formative assessment is wide, including both formal and informal assessment and is effective for all subjects and grade levels. 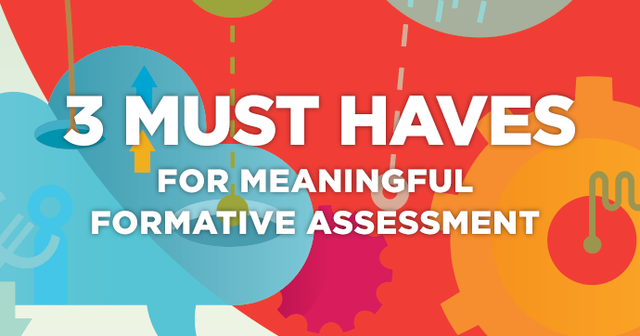 Regardless of how you choose to assess your students (and how you gather data about that assessment), proper alignment is the first step in making sure that formative assessment is working in your classroom. Studies have repeatedly shown that the sooner a student receives feedback, the more likely it is to have a positive impact on student learning. Summative assessments, typically administered at the end of an instructional period, often don’t communicate to students about their progress until days, weeks or even months down the road. In episode 11 of the Reclaiming the Classroom podcast, James Seaman, a former educator and current MasteryConnect employee, shared an experience about his first year as a teacher. He remembered his students asking, “Have you graded our tests yet?! ?” At the time, he thought of grading the tests as just another thing on his already infinite (and exhausting) to-do list. But looking back, he realized it was because the students truly wanted to know how they had done—they wanted to know about their own learning. And that’s why formative assessment is so important. It’s hallmark is the ability to provide students with feedback as learning happens, while there is still time to influence growth. There are many tools that can help you get immediate results back to your students, including GradeCam or the Socrative app. Some teachers find that meeting with students for mini-sessions or dividing students into groups based on levels of understanding helps them target feedback. When crafting your feedback to students, there are few guidelines to keep in mind. Crafting effective feedback helps students know exactly where they are…and where they need to be. This is critical for the next step: self-evaluation. Meaningful formative assessment provides the opportunity for both the student and the teacher to reflect on learning. For the teacher, this involves reflecting on what’s happening in the classroom, then making appropriate changes to instructional practices and strategies to improve student outcomes. For the student, this means analyzing their individual learning and setting goals for future growth. Part of teaching is fine-tuning your skills, taking new approaches, and adapting to the needs of your students. Formative assessment gives you the opportunity to get constant feedback from your class so you can adjust instruction in the moment. Below are a few steps to take and questions to help you self-evaluate. Consider the formative assessment you administered. Did it collect evidence of student learning? Did it provide you with helpful data to inform instruction? What percentage of students mastered the concept? What level of intervention, remediation, or enrichment will be needed? What other strategies or resources might I use in the future? What went well and what needs to be changed in the instructional cycle? Are there any supports available to me at my school or district? Make a plan and execute on it. How am I going to group my students for further instruction? What resources/strategies will I use with each group? How and when will I reassess? After you have taken the time to reflect on your own performance, the next step is helping students do the same. Providing students with opportunities to engage in their own learning has been shown to lead to some pretty impressive results. Students who approach academics with a learning mindset—with a focus on continual learning and self-improvement—tend to experience greater academic success than students with a performance mindset (one based on ability, comparison to others, and external consequences). 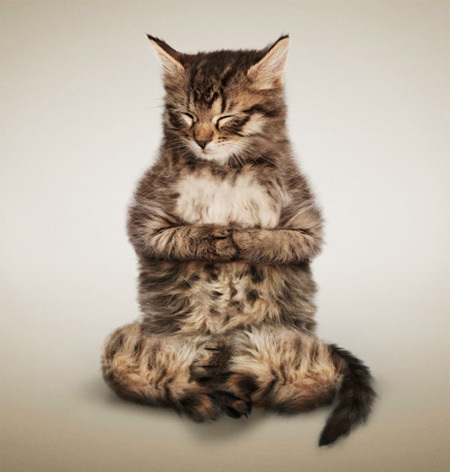 But the ability to self-evaluate is a learned proficiency, one that requires an environment of trust. Such environment—one that encourages students to take academic risks and take ownership of their learning—helps students respond to feedback and take the next steps to close the learning gaps. Consider how students in your classroom would successfully evaluate their own learning. What would it look like? How would you know they are self-evaluating effectively? What strategies would you use to help them become more proficient in self-evaluation? Below are few tips from other educators on how to help students assess their own learning. Formative assessment is a continuous cycle that helps both teachers and students improve performance in the classroom. These three steps will ensure that you are getting the most from your strategies and making the best instructional decisions. We’d love to hear how you are using formative assessment in your class, school, or district! Share your activities with us at blog@masteryconnect.com and you may be featured in an upcoming post. MasteryConnect helps over 2.5 million educators around the world with formative assessment, standards-based grading, data-driven instruction, and teacher collaboration. Get more info on how MasteryConnect may help in your teachers and students.